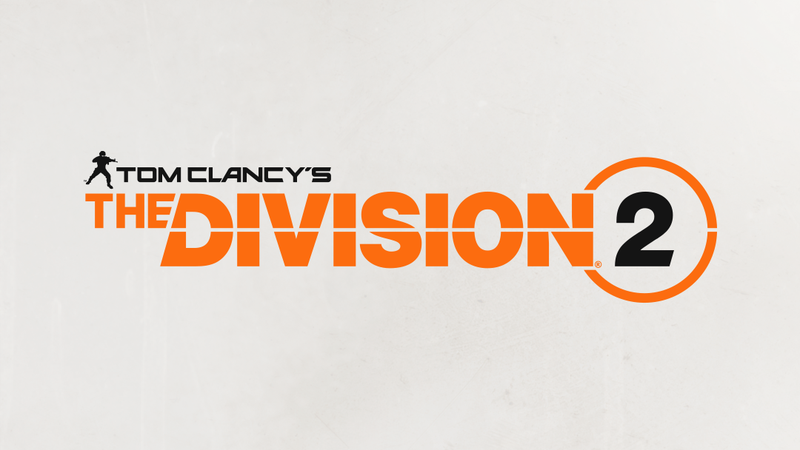 A logo for the sequel appeared on Ubisoft’s servers this morning. The comment appeared to acknowledge some fan requests for Ubisoft to refrain from making a sequel and just continue to expand the 2016 game. Gerighty said that a team at Ubisoft started working on main concepts for the new game within a month after the first Division launched. He said the game will be shown at this year’s E3 show in June. Development studios working on the game are largely the same as worked on the original game, with development led by Massive Entertainment, Ubisoft Annecy, Redstorm, Reflections, Ubisoft Bucharest and Ubisoft Shanghai. Gerighty said that Ubisoft Sofia will also work on the game. That’s the studio behind the magnificent Assassin’s Creed Rogue and most recently helped develop Assassin’s Creed Origins. The original Division will get two new patches, 1.8.1 and 1.8.2 that Gerighty joked should be called Strawberry and Parsnip. “Strawberry” will include two existing missions, Amherst and Grand Central, reworked for Legendary difficulty. “Parsnip” will do the same for two other existing missions. The “Strawberry” update will be out in April alongside the long-awaited Xbox One X patch. The June-slated “Parsnip” 1.8.2 update will also add a feature called shields that will be challenges that will unlock content in The Division 2. The Division launched to great fanfare in March 2016 on the heels of a high-interest beta. The game lets players run and shoot their way through a detailed presentation of post-disaster New York City. It’s a mix of open-world and linear adventures and can largely be played solo or co-op. Among its innovations is a “Dark Zone” that allowed players to hunt each other. The game was beset by cheaters and frustrating imbalance issues that led to a backlash so severe that Ubisoft suspended post-release plans to set the game’s studios to work on a game-rescuing patch. More than a year’s worth of updates rectified nearly all of the game’s issues, culminating in an impressive, expansive 1.8 patch that added new modes, new maps and was met with widespread acclaim. Recent updates to the game felt like prototyping for a sequel. A late 2017 addition called Global Events, for example, would change the basic rules of the game for about a week, making it so that players might do more damage when stationary or instill poison damage on enemies if they score headshots. The 1.8 patch adding new zones in the game that constantly generated new missions for solo players, making The Division more enjoyable for players who felt left out by the developers’ post-release attention to the game’s competitive and co-op modes. While it’s unclear when The Division will come out, the developers’ vow today to not just attend E3 but all major game shows after that makes it likely for release within the next year or so.